During the past one week, I have had a lot of thoughts in my head. But, each day, by the time I think of blogging, I would be so tired and the thought of my bed would be super-tempting! I’ve been longing to write out all those thoughts. Which is the reason I’m typing this right now! When I spoke it out with Kiran, she came up with another awesome line (she always does that, her lines are brilliant!) – “Rosh, do you want to get used to the sunrise? Do you want it to be as normal and mundane as, say, brushing your teeth?” Whoa! And there, she put it into a whole new perspective! Almost always, we forget to see the beauty around us. But, perhaps, forgetting to see it is a good thing. Like Kiran said, you wouldn’t want to turn the beauty into something normal, something that’s part of your daily routine. Because, experiences like watching the sunrise should never ever come anywhere under the head of ‘routine’. If that happened, we would be left with nothing to awe us, nothing to remind us of the incredible ways of the Universe. Another beautiful line by Kiran – “It’s not about how many sunrises you have seen, it’s about whether (and how much) you appreciate the sunrises you have seen.” I’m in love with that line, the thought. Another reason why I adore Kiran. She is the only person to whom I can say all these crazy thoughts, and be perfectly understood! Another thought-provoking instance that happened a few weeks ago. At work. One of my colleagues had been away during the day and when he returned, I asked him how his day had been. 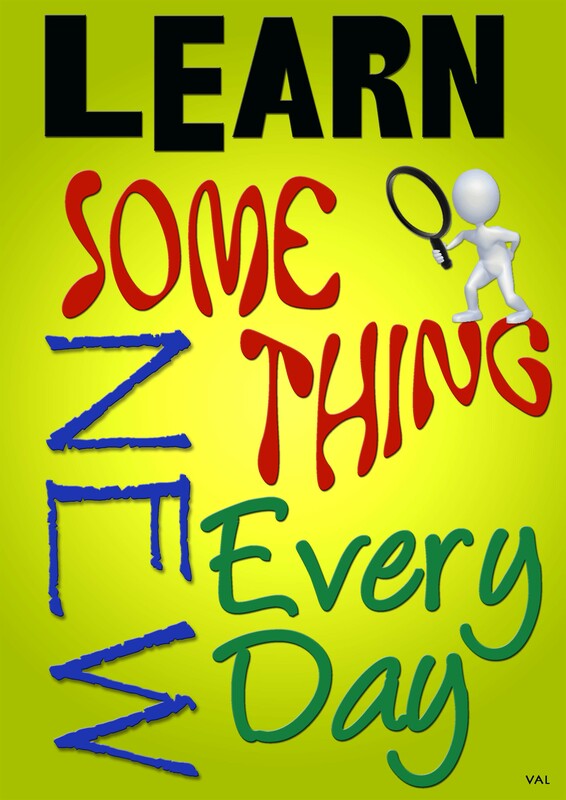 He replied that it had been bad, I asked why and he replied, “I didn’t learn anything new.” Damn! And what had I learnt? How to while away my time googling? I felt like he had knocked me on the head, probably letting loose some of the good sense in there. Not that I have been learning something new each day since then. But I try. At the end of the day, I try to figure out what new piece of knowledge I learnt. Most of the time, the response is (guilty) silence. But there are days when I do have a response. Like, recently, when I learnt the word ‘sapiosexual’. And the learning brought along a lot of realizations. I became aware that I have a sapiosexual crush on someone I got to know recently (no sexual attraction involved, though). Today, I was telling Kiran about it. She admitted that even she would come under the same category. And that was when I realized something else. I’m attracted to Kiran, in the same way. I’m serious. After our chat, while going over what we had talked, it just leapt out at me. I’m attracted to her, because of her intelligence, the way she is, the person she is, and a lot more. It’s not sexual; emotional, to an extent (she is my best friend, after all). But the basic & primary reason, I suppose, would be intelligence. Anyway, tomorrow (actually, today) is a public holiday and I’m planning to have an awesome time at home. Read, watch some movies, sleep, relax. Unwind. Oh…and, blog! This entry was posted in Random, Thoughts in Words, What Happens @ Work, Writing and tagged Attraction, Beauty, Best Friends, Blah Blah, Friends, Intelligence, Kiran, Life, Mundane, new perspective, Sapiosexual, Sexual attraction, Sunrise, Thoughts, thoughts in my head, wasting my life. Bookmark the permalink. That’s great. I’m helping you learn something new? 🙂 I’m awesome, ain’t I? Nice post.. It was thought provoking! Isn’t it kind of ironic, or maybe poignant, that Kiran (whose name means a ray of sun or sunshine) made you think about sunrises?